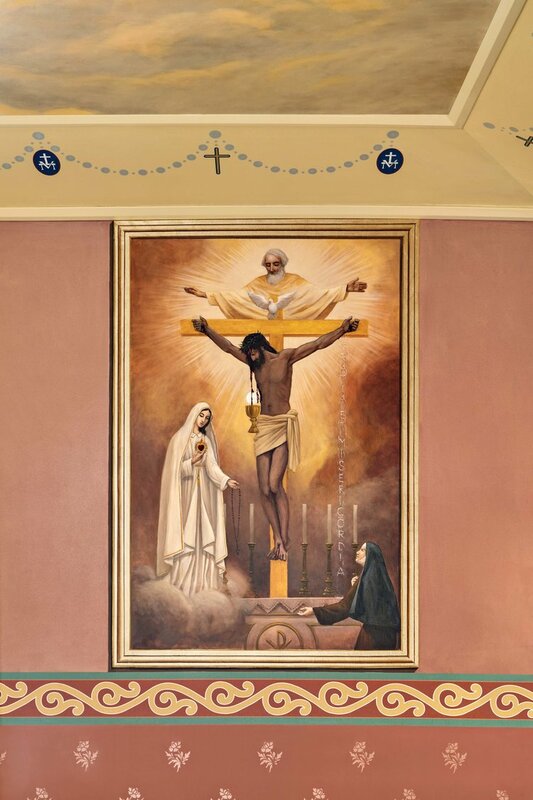 The small worship space was devoid of sacred imagery and art. 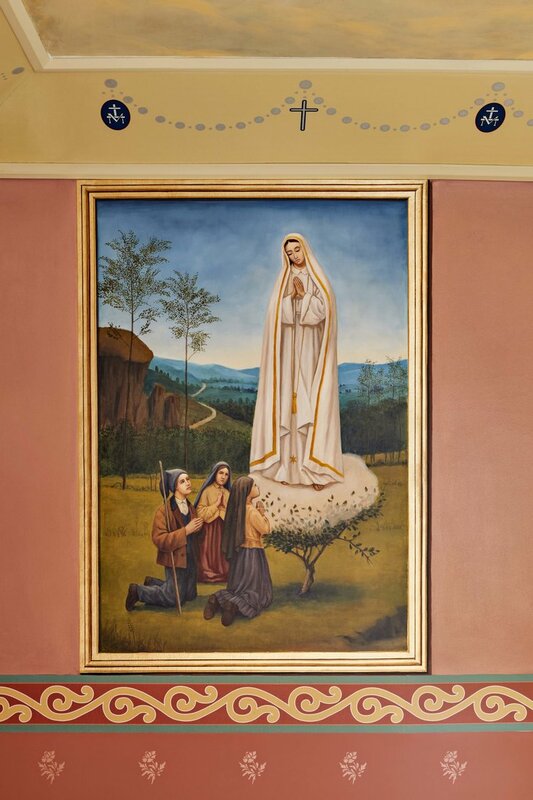 Our design intent was to bring traditional details found in grand cathedrals and fine-art murals depicting the five sorrowful mysteries to create an atmosphere of comfort and inspiration. 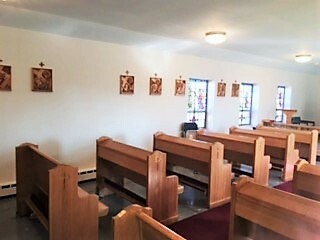 We developed a decorative paint scheme to compliment the ceiling and wall murals, refinished the pews, coordinated with other trades on the selection of finishes, furnishings, and carpeting to tie together the new interior. 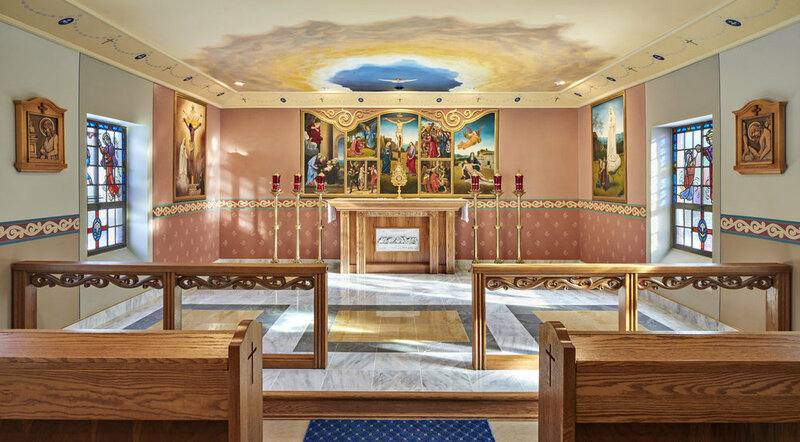 As an example of our consistent attention to detail, We designed a new floor for the altar area using multiple colors and species of stone in a pattern adapted from flooring found in the 5th century Basilica Santa Maria Maggiore in Rome.